Maybe you already have a Flying Fifteen? Live in the South?? Have you considered joining in the Winter Racing at Datchet?? Notwithstanding the cold snap of 2010, generally our winters have been getting milder and the reservoir is usually full to the brim for easy launching and recovery. 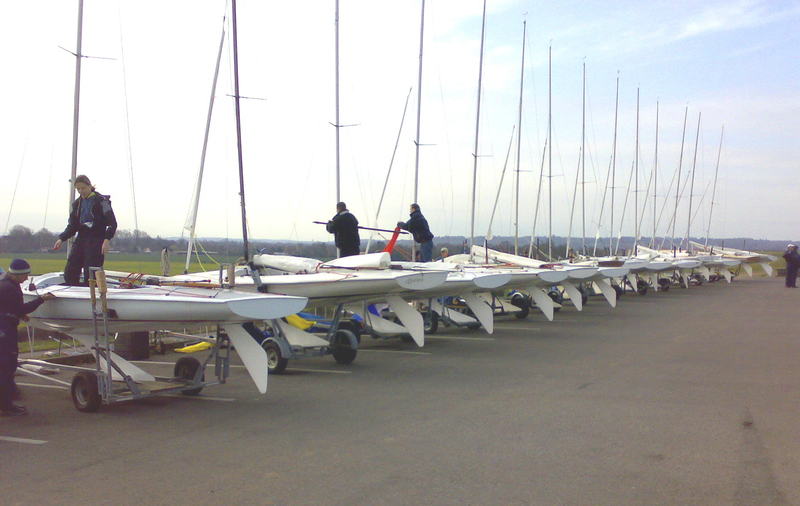 At Datchet the fifteens race all year round. Typically the winter season is one of the most active, and a great way to keep your game up for the forthcoming season. At the centre of activities is the Winter Warm Up – an eight race series during the four Sundays of February. Our winter finishes with the first of two Datchet FF Open Meetings held in March. For the last two seasons, the fleet has hosted the Flying Fifteen Midwinter Championship for the National Association, BIFFA. Whilst we cannot expect to do that every year, we hope they will return soon. The Fleet has also run successful classroom and video coaching sessions featuring stars like Greg Wells and Charles Apthorp. If you’d like to give your boat a tune-up, check out the voodoo tuning guide on this website – club members will be happy to help you out. 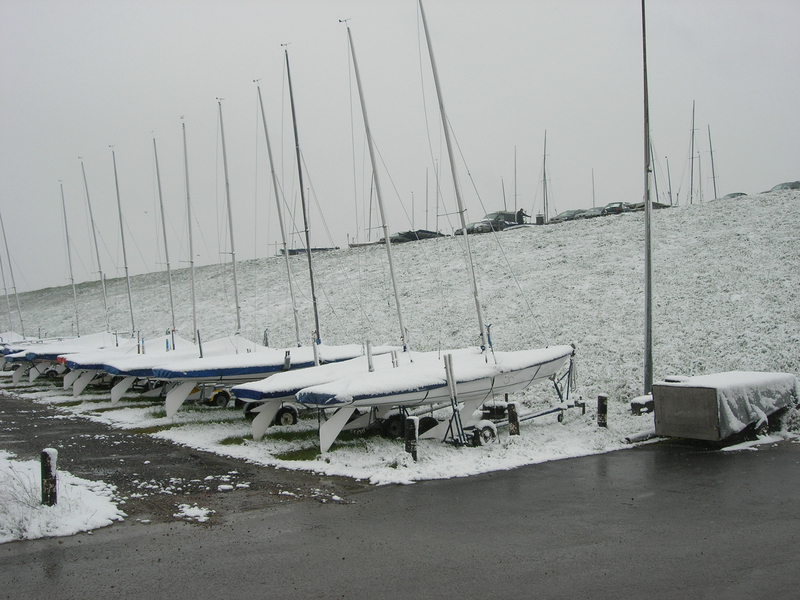 The Club offers two very cost competitive ways to race your FF at Datchet for the winter. Either you can join for January to March, or there is normally a special deal to race the Winter Warm Up in February, then stay over to enjoy the FF Open a couple of weeks later. If you don’t already own a Flying Fifteen, have you considered the Datchet Trial Sail Program. We have three boats in the Program, and quite commonly newcomers will use one of these boats to race an entire three month series before deciding what they want to buy. You can read about it on the “Trial Sail?” tab of this website. 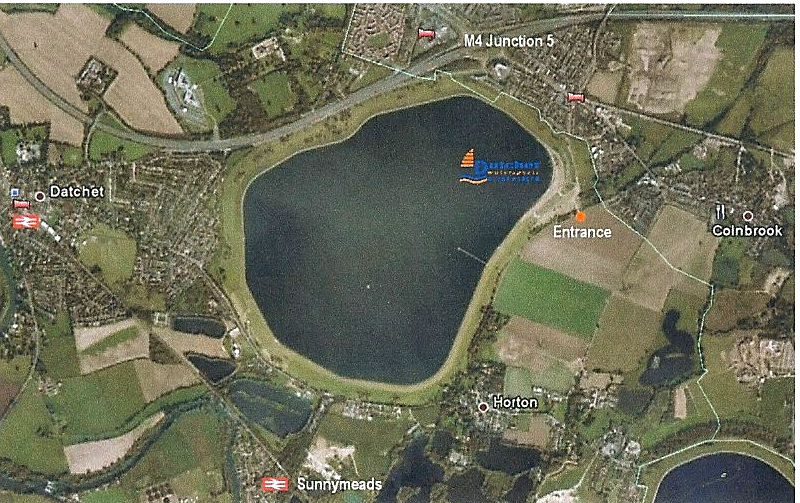 Key to the attraction of wintering your FF at Datchet is the location. Nestling in the corner of the M25 and M4 junction, plus the Sunday morning 1030-1330 race format gives you use of the road network when traffic is quiet. According to Googlemaps, which assumes legal speed limits, here’s where you might drive from in an hour or less to Datchet in the quiet of a winter Sunday…. The Club welcomes Winter Members and a variety of low cost packages are available spanning the period October to March. Please see the downloads shown in “Interesting Links” shown on the right side of this webpage.